Our Fashion Market Editor Libby Page called out utility and neutrals as two of the biggest trends for Spring '19, and Joseph's 'Pete' shorts tick both boxes. Made in Italy from cotton and silk-blend poplin, they sit flatteringly high on the waist and are gathered with drawstring ties. 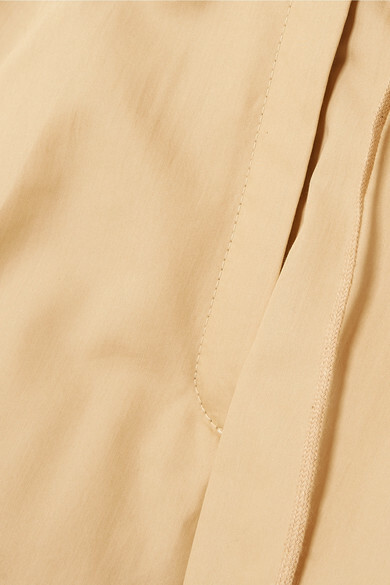 Wear them with bright shades like white and coral to complement the camel hue. Shown here with: Peter Do Shirt, Helmut Lang Sweater, Proenza Schouler Tote, Ellery Sandals, Laura Lombardi Ring, Paola Vilas Ring, Paola Vilas Ring, Jennifer Fisher Earrings.